Escape the 9-to-5…Trade your shirt & tie for a wetsuit! Share your love of the underwater world as a PADI Open Water Scuba Instructor! As a PADI Open Water Scuba Instructor (OWSI), you can teach Discover Scuba, Scuba Diver, Open Water Diver, Adventure Diver, Advanced Open Water Diver, Rescue Diver, Divemaster and a few PADI Specialties. With a bit more training and experience, you can teach more PADI Specialty Diver Courses, such as Deep Diver, Enriched Air, Search & Recovery and Emergency Oxygen Provider. You can travel the world and teach almost wherever there is water. The PADI Instructor Development Course has two core components: Knowledge development (online modules and in-person training), Teaching practice (pool, classroom and open water). After completing the PADI IDC, your next step is to take a PADI Instructor Exam (IE). This is a two-day program conducted by PADI staff that objectively evaluates your teaching ability, skills and knowledge. Why train with me? To-date, I’ve a 100% pass rate at the PADI Instructor Exams. My candidates are currently teaching around the world. I teach in the US Intermountain West, a place normally thought of as a cold & fresh water location–think again! We have some unique hot springs, allowing us to dive year-round in warm water (even up to 100F/38C). Contact me to sign up for the next PADI IDC. Purchase an IDC CrewPak (includes much of what you need for the IDC). Here’s the list of materials for the PADI IDC. Make sure your PADI Diver materials are up-to-date (if not, replacements are in order) These include the PADI Open Water Diver manual, Adventures in Diving manual, Rescue and Divemaster manuals. Sign up for the PADI IDC eLearning program. This is a portion of the IDC that must be completed before the start of the in-persion sessions. Make sure you have a recent physical from a physician (within 12 months). Then, we get going with the Instructor Development Course. Click here for the schedule of upcoming courses. PADI does require that new instructors be able to teach CPR & First Aid, which makes a lot of sense: you need to be current on CPR & First Aid, and when you train Rescue Divers and Divemasters, they need to be trained. 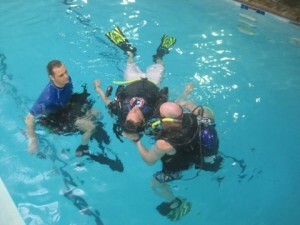 I teach the Emergency First Response (EFR) Instructor course in tandem with PADI Instructor Development Courses. What will it all cost? Roughly, about $3000-$3500USD to go from Divemaster to Instructor. For a list of where the money goes, have a look at costs for the PADI Instructor Development course. Contact me to sign up for the next PADI Instructor Development Course. PADI Instructor Development — What does it cost? 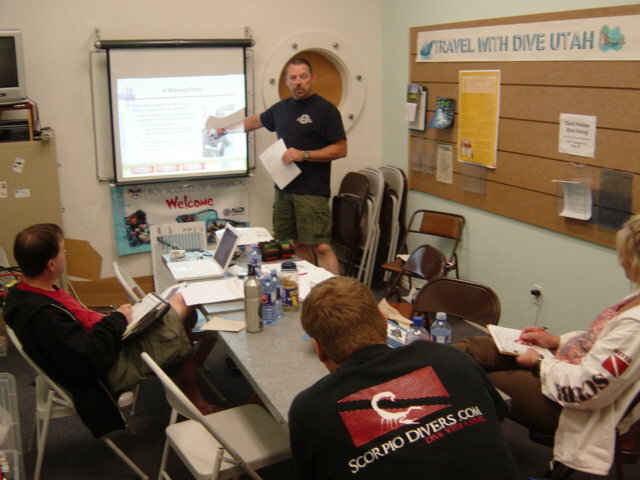 PADI Instructor Development Preparation — how?